The IAMCC/Research also assumes a major role in Applied research: the organization undertakes future-oriented research projects which contribute to the development of innovations. Urban Tourism, Architecture & Health, City Development, Urban Entertainment, Retail, industrial environment and future communications. Over than 1000 years a healing Architectural space dimension, emphasis in Asian, has been introduced across a wide range of health facilities. The existing IAMCC/Research Program "AOP, After Operation, according to the IAMCC/Research Centre in Vienna, have been proved to have a detrimental effect on the health of the inpatient. Finding out our senses are affected by sight, sound, smells and texture will provide the basis for designers to create healthy environments in a variety of settings. The study will include mental healthcare facilities and analyses the problems experienced by patients suffering 'from dementia. By measuring physiological responses and recovery times the study will provide evidence of whether creative design interventions can achieve beneficial results for patients. The debate above will hopefully arouse passions and stimulate debate for generations to come. New Architectural space & Design which is dedicated to the clinical spaces or intervenes in the private space of the patient has to be approached with caution. Rather than prescribing form with a choice of the old architectural lectures and new Research feasibilities. What is appropriate in the evaluation dialogue is the integration of the architect's skills with the demands of the users and clinicians. It is after all the artistic process or creative phenomenon, not the artefact itself, which is our main resource. The most serious implication however is the increasing lack of confidence in the very fabric of the institutions in which the patients are treated. 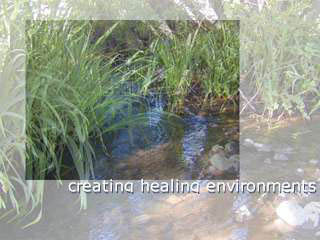 Claims of a universal image for a soothing environment nevertheless remain locally and culturally challenged. 1- to provide a philosophical base for students and scientists. 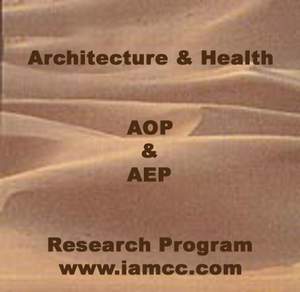 2- to be a round up of Architectural space therapy practice, as a key between Medicine- Architecture and users. 3- to concentrate on the architecture and healthy lifestyles from the old lectures to new technology.